that is my front porch. Interesting. destroy his web with a broom and sweep him off the front porch. Why? you ask....Why deprive him of his lovely home? I know... scary freakin' monster spider!!!!!!! went fishing, we counted about nineteen of them!!! queen sized webs, they were just very interesting to look at. of my six year olds hand.... for real!!!! I'm becoming quite the critter clicker, who'da thunk it!!! You can't be too careful, right? I'd have moved his home too! I know... but look at that face!! I kinda felt bad, like I did when I almost killed the baby bird..sigh. I do not like spiders...not at all, but I like looking at pictures! We had a beauty like that one at our house in Alabama. I insisted that everyone leave it alone 'cause I loved the web so much. I think I read that they destroy their web each night and rebuilt it each day. Hello - First, thanks for visiting my blog and commenting. ok... I am guaranteed to have dreams about creepy spiders now! 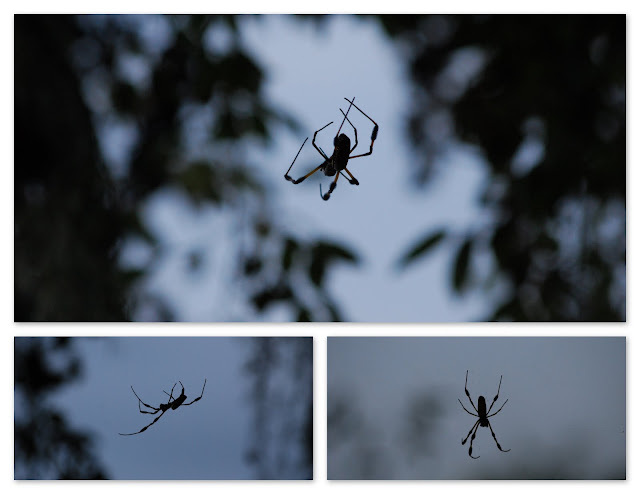 I don't care how beautiful or lovely or environmentally wonderful they are - SPIDERS CREEP ME OUT!!!! BLEH!!!!! 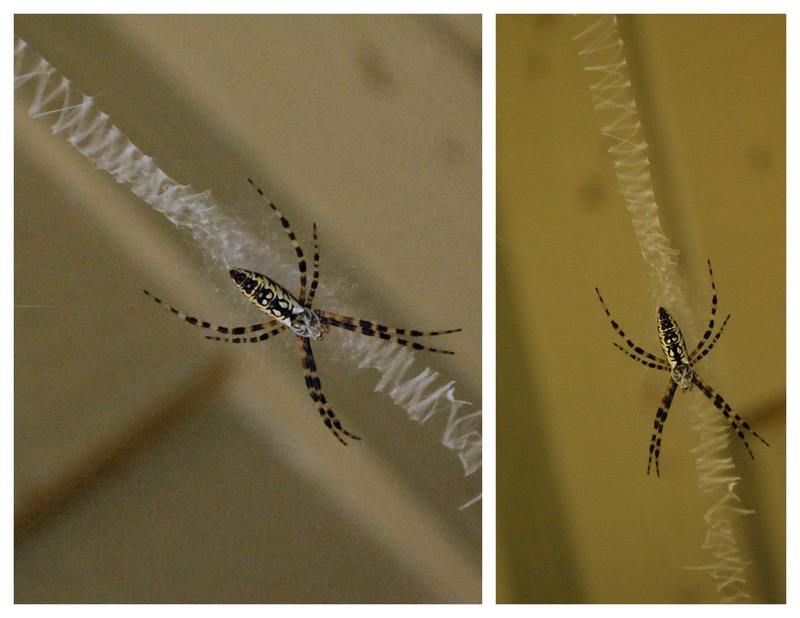 I love the pictures of the spiders! I used to be afraid of them but then one summer we had several bannana spiders take up residence in our gardens and I couldn't help but become enthralled.